My Menagerie is a brand new pattern set from Kookaburra Cottage. 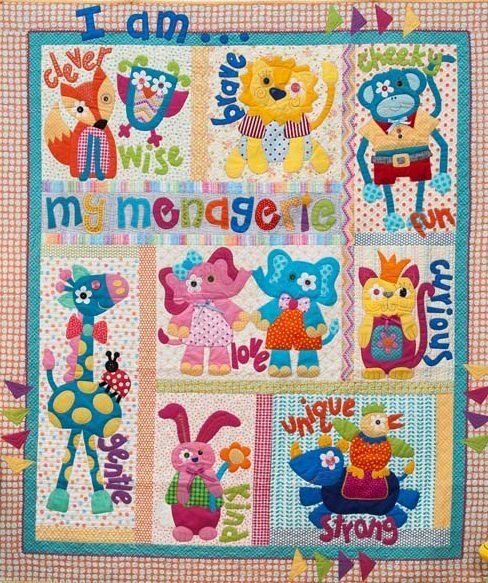 Lettering and cute animal appliqués in bright colours. Finished size 60" x 68"
There are 9 patterns in the set.